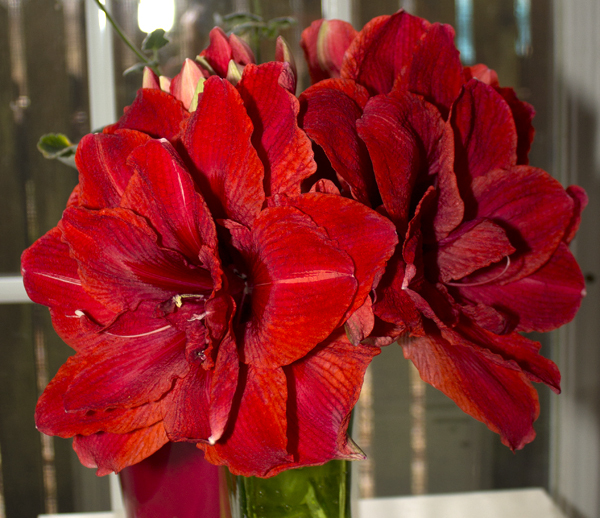 If you're looking for an Amaryllis with serious repeat performance, Hippeastrum 'Double King' is your guy. I have never seen an amaryllis that re-blooms three times in three months! 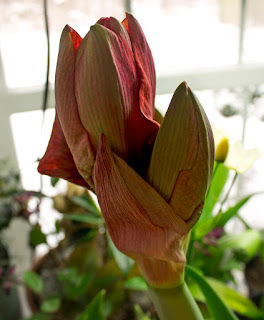 I was sent the bulb to try from Longfield Gardens, and right away I could see this was no ordinary bulb. It was humongous! I was impressed by its first flush of blooms, but now I'm smitten! 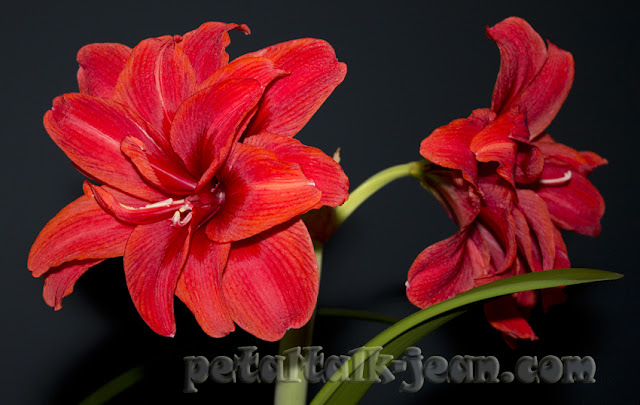 In March, it sent up two bloom stalks and provided some serious color for the whole month. 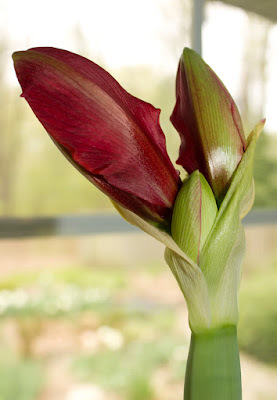 Then, in late April, it started up again, this time with only one bloom stalk, but it got my attention, even when there is so much going on in the outdoor garden. Its first buds ready to open March 3rd. 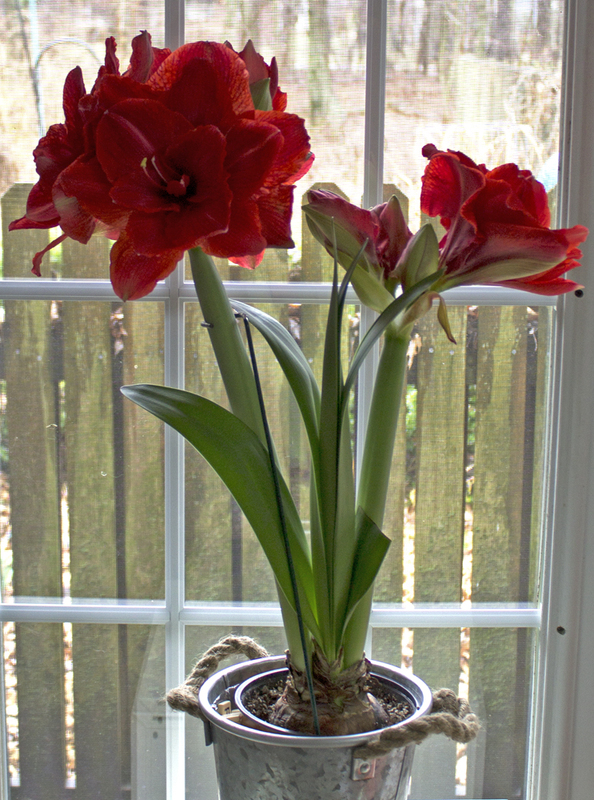 April 26th, the third stem begins to bloom.